The count starts now. Is Minnesota ready? Census Day is April 1, 2020. The time to get ready is now . . . Invest $2.5 million in state money for targeted initiatives to . . . 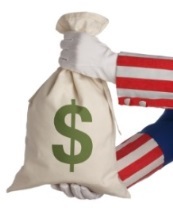 Call on the federal government to appropriate the needed dollars and in a timely fashion. Do not add untested questions to the census, such as one about citizenship, that are likely to discourage participation. 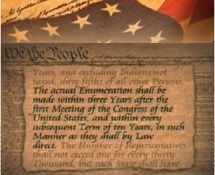 Decennial census is required for apportionment and allocation of federal resources. It’s our nation’s largest mobilization other than going to war. We should do it right to ensure the results are fair, accurate and reliable. Every voice counts equally when it comes to the census. The census provides the foundation for sharing power in our democracy. Minnesota kept eight Congressional seats in 2011 because of a quality count. If apportionment happened today Minnesota would get seat #437. If population trends continue as they have into 2020, it’s projected we would get #434. As with 2010, we are right “on the bubble” for keeping or losing a Congressional seat. With a good count, Minnesota can do it again and continue to have eight Congressional districts. Guides allocation of public resources to close disparities in households and communities. Federal, state and local dollars are allocated based upon the census. In 2016, $15.5 billion came to Minnesota from 55 federal, census-driven programs. Minnesota loses $27,960 in federal resources over a ten year peiord for every person missed in the count (that's $2,796 per year for each person not counted). Vital information to make smart community decisions and to measure their impact comes from the census and the American Community Survey. 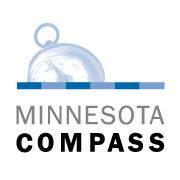 From Minnesota COMPASS to regional community development groups, the census/ACS provides the foundation for community decision-making. From Target to Main Street, Minnesota businesses rely upon the census/ACS to make decisions that drive the Minnesota economy and create jobs. 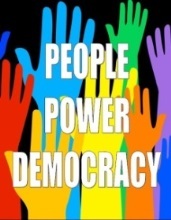 MCF aims to create a more prosperous, inclusive and equitable Minnesota by strengthening democratic systems and civic engagement, including promoting full participation in the 2020 Census and the American Community Survey. The Census is essential. It is key to ensuring fair representation and allocation of resources, and access to complete and reliable data to support community engagement, planning and economic development. MCF provides ADVOCACY LEADERSHIP for federal and state policies and funding for the Census and American Community Survey (ACS), and to develop and implement a Minnesota-specific plan to engage grantmakers and community partners in mobilizaing to achieve the goal of full participation in 2020 Census and subsequent ACS. MCF is ORGANIZING the Minnesota Census Mobilization Partnership. The Partnership is a network of groups and individuals working together to advocate for policies and resources to prmote full participation in the 2020 Census and ACS. Become a member of the Partnership. We are paying attention to the TECH PREP needed to get Minnesota ready for the 2020 Census. The Partnership works along with the Minnesota State Demographic Center and the U.S. Census Bureau - Midwest Region to ensure that all Minnesota communities are ready to mobilize for the 2020 Census. We advocate for state funding to support the technical preparations essential to maximizing the opportunities for all Minnesotans to participate in the 2020 Census and to maximize the impact of Minnesota's Census organizing and mobilization. We are creating a MINNESOTA-SPECIFIC COMMUNICATION AND MOBILIZATION PLAN. The Partnership links grantmakers and partners from throughout the state who share an interest in a successful 2020 Census and the ACS and want to help create our communication and mobilization plan. A complement to the Census Bureau's national efforts, the Minnesota plan will identify communities least likely to participate in the census, and propose messages and outreach strategies likely to help overcome barriers, uncertainties, or fears that may discourage responding to the census or ACS. MOBILIZING with our sights on April 1, 2020 -- Census Day -- and to fully engage all Minnesotans in the 2020 Census and ACS.